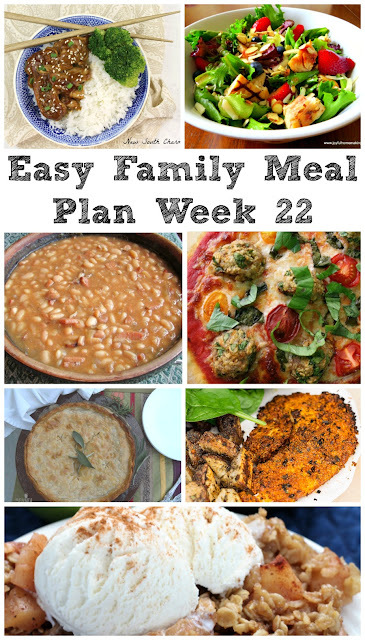 We did your weekly menu planning for you! 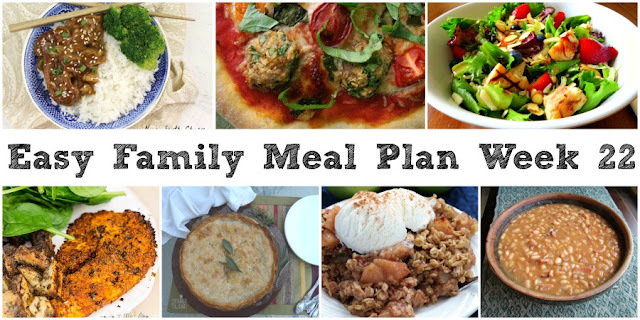 6 delicious dinner recipes and a sweet treat will leave your family happy! Last weekend was so much fun! We had a party to go to at Nana's (my mother-in-law's) house on Saturday and then we hosted our pie-off on Sunday. Luckily we had Monday off to eat up some leftovers and relax for a bit. But this weekend is different. This weekend there are all of the things to do! We have to hit up Germanfest at one of our favorite parks and play games, eat pretzels, sausages, German potato salad and a lebkuchen. The local German band will also be there, lederhosen and all. Then we also have to visit another park where there will be an art fair, taste of the town, live performers and a street concert. My father-in-law, his wife and my grandma all play in an Irish band that will be performing there. So we will have to switch from a schuhplatter to a jig and keep dancing the weekend away! Now that we've got our weekend plans ironed out, lets take a look at the menu for the week! We love fish and I haven't made any in a while. 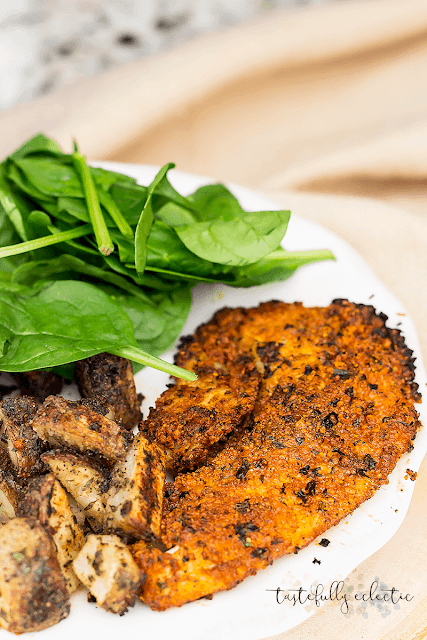 So this Easy and Savory Parmesan Crusted Tilapia from Tastefully Eclectic will hit the spot! One of my favorite things to order when we go out is a salad with fruit, nuts and cheese. 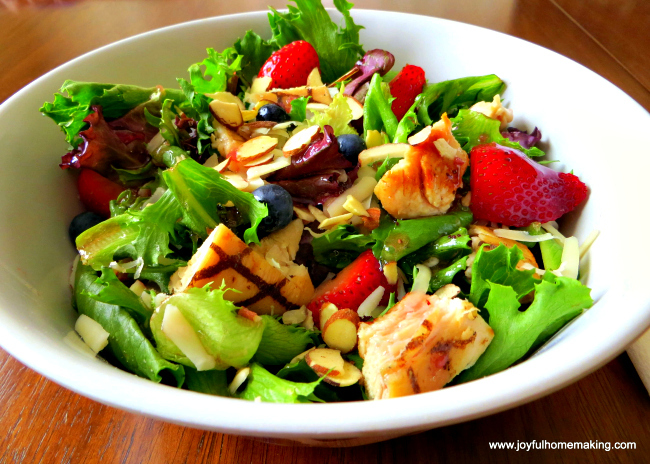 This Copycat Berry Almond Chicken Salad from Joyful Homemaking is right up my alley! 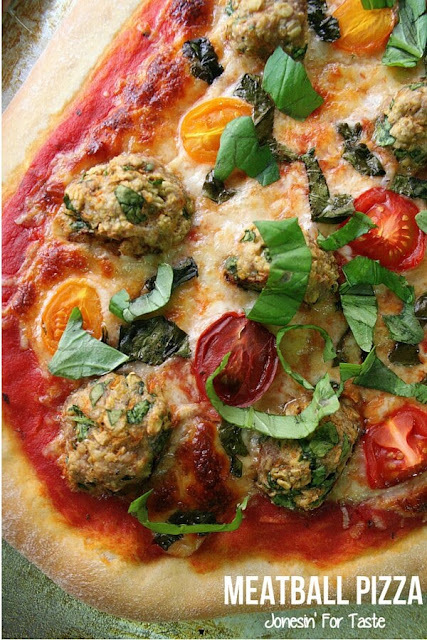 Pizza is always popular, so this Meatball Pizza from Jonesin' for Taste is going to be a hit! 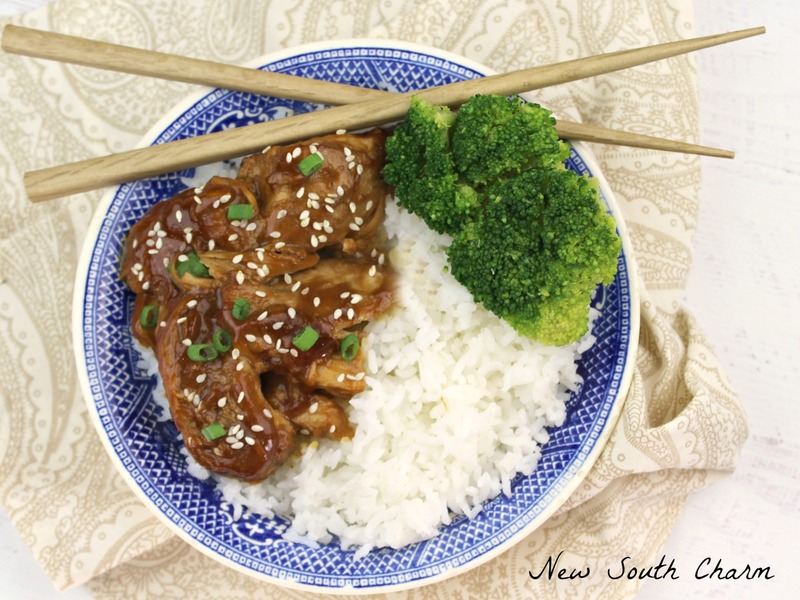 I keep resolving to use my slow cooker more so this Slow Cooker Teriyaki Chicken and Rice from New South Charm will help me reach that goal! A good pot pie is like a bite of comfort. 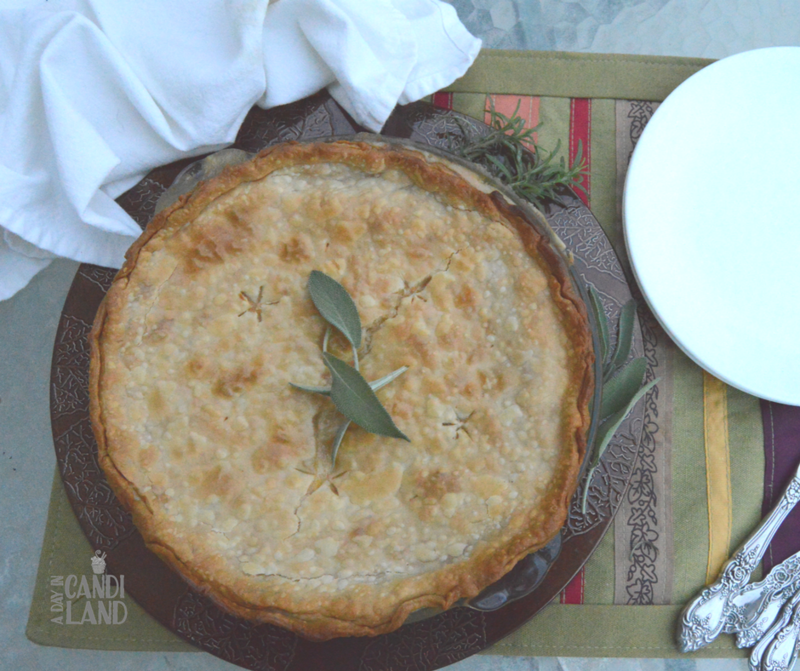 I can't wait to try this Easy Turkey Pot Pie from A Day in Candiland. 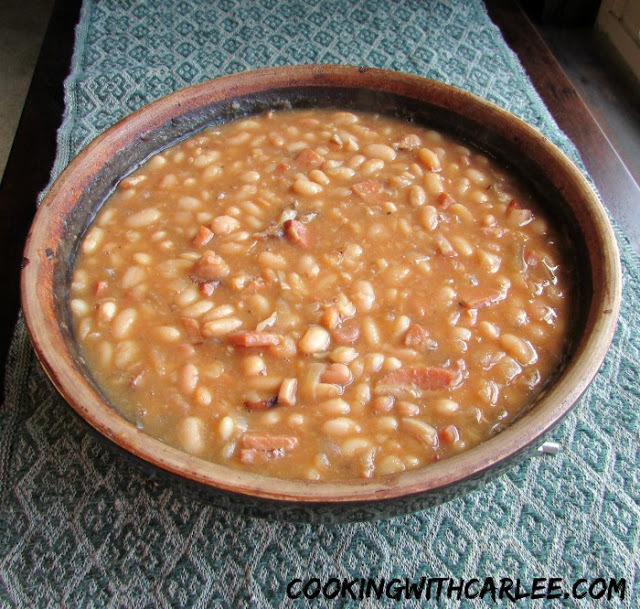 A fun side to serve up with your weekend BBQ would be these Old Fashioned Maple Baked Beans. They are ecomical and full of flavor! It all looks delicious! Can hardly wait to try the tilapia!